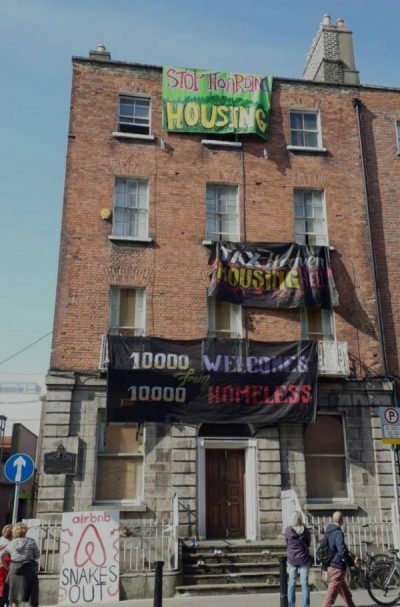 The building was occupied last Friday with the purpose of drawing attention to Ireland’s severe housing crisis, following a first occupation in Summerhill. This morning, after a 24hr social media silence, activists have dropped several banners from the roof of the occupied building. The statement’s emphasize the parallels between the abuse and exploitation carried out by the Catholic church in Ireland and the inhumane living conditions thousands of people endure under the housing crisis.